Age 74, of Monterey Drive, Ft. Loramie, Ohio, passed away of natural causes at her residence Thursday afternoon, November 8, 2018. She was born November 23, 1943, in Celina, Ohio, to the late Leon and Clotilda (Goecke) Muhlenkamp. On November 27, 1963, at Sacred Heart Catholic Church in McCartyville, Rebecca married James K. Rethman who survives. Also surviving are two sons, Don & Shari Rethman of Kettering and Jeff Rethman & Pam Ordean of Fort Loramie, four grandchildren, Chloe Rethman, Garrett Rethman, Ashley Ordean and Paige Humes along with a great-granddaughter, Aniyah Humes; five of seven siblings: Ramona & Ken (dec.) Rose of Fort Loramie, Norma & Tom (dec.) Siegel of Fort Loramie, Bill (dec.) & Rose Muhlenkamp of Tipp City, Jim & Lea Muhlenkamp of Sidney, Jane (dec.) & Jim Osborne of Columbus, Jerry & Mary Muhlenkamp of Minster and Lucy & Mark Skinner of Waldorf, MD as well as brothers & sisters-in-law, John & Betty Rethman and Bill & Jan Rethman of Fort Loramie. She was preceded in death by a sister-in-law, Janet Muhlenkamp. Rebecca was a 1961 graduate of Ann High School. She was bookkeeper for 20 years at the former Fort Loramie Mills and had always been a dedicated homemaker. 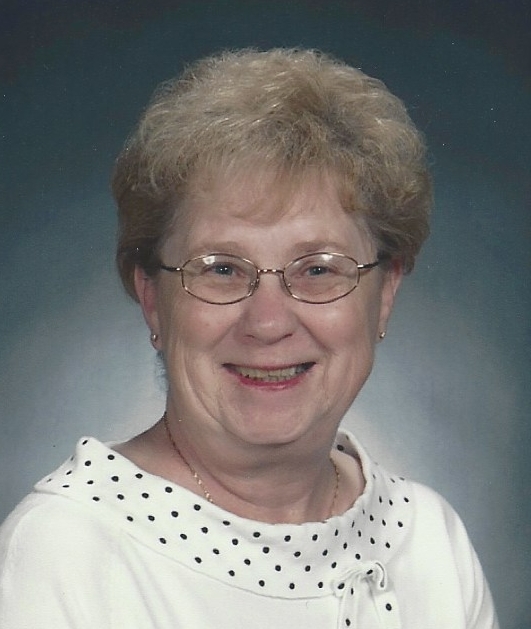 She was a member of St. Michael Catholic Church, St. Ann's Ladies Sodality, the Fort Loramie American Legion Auxiliary and Walk-up Country Club. Beck enjoyed spending time with her family and especially her grandchildren. Years ago she had been an avid reader. Mass of Christian Burial will be 10:30 AM, Wednesday, November 14, 2018, at St. Michael Church in Fort Loramie with Rev. Steven Shoup presiding. Interment will follow at St. Michael Cemetery. Friends may call Tuesday 2:00 to 8:00 PM and Wednesday 9:00 to 10:00 AM at Gehret Funeral Home in Fort Loramie. Memorials may be made to the Fort Loramie Rescue Squad or charity of choice. Private condolences may be expressed at www.gehretfuneralhome.com.